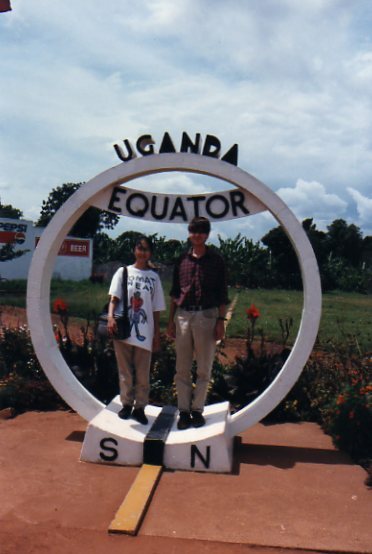 In 1995, my husband and I moved to Rwanda, just one year after the genocide that took more than 800,000 lives in 100 days. We arrived to find shards of glass on the walls of our compound and metal gates with gatekeepers. It was a country still in conflict. Expatriates were advised to take R&R frequently. I was naive and visibly shaken all the time. Every stream or stairwell had my mind racing with dead bodies and floating limbs. I could not shut the memories of the loss that played out on every face I met. In those days, our place of respite was Uganda. After going through all the roadblocks with machine-gun totting teenage boys rifling through our washbags, we would finally cross the border where we drove on the left and let out an audible S-I-G-H of relief. Every muscle in my body would relax. Today in Seoul, I feel the same stress taking hold of my body and squeezing me tightly. Just walking down the street can be stressful. Seoul is certainly not dangerous, but the trauma of original family loss is the same as a death. Top this with the language barrier and the connection with single mothers and mothers of loss, and the tension in my body becomes so tightly wound. In October, after six weeks in Seoul, we took a much needed R&R to the southern tip of South Korea, an area called Namhae. After a long car journey, we settled with our three kitties in the hotel. We explored the Buddhist Temple and the serene mountains which reminded me of my life in the Appalachia. I felt at peace again. When I find that peace within myself, the sweet yielding to my fate and acceptance of the known facts veils my anxiety. I stood outside of the Boriam Temple, gazing in. The people in the temple were at peace, quiet and reflective. I entered the area where you take off your shoes, but I stopped there. I yearned to enter, but I felt paralyzed by my guilt. Once again, I was reminded that I was an outsider, no longer connected to a faith that may have been my own. I stepped outside and took this image … a shadow of myself looking in and wishing to be a soul on the wall. No one wanted to leave once our three days were up. I had made the audible S-I-G-H as we left the city limits of Seoul. Crossing over again, meant that I would tense up … my irrational Mom outbursts and control issues would return. The triggering faces and crowds of Seoul would once again hit me head on. Since returning, I am tighter than ever. I visited my adoption agency, but that experience will need to wait for another post. I do not have the energy to address that. This week, we celebrate the one American holiday I love … Thanksgiving. Thanksgiving means a homecoming, much like Chuseok here in Korea. My home is ambiguous. What made “home” was my mother, father and grandparents; they are no longer living. My kids now love the holiday for their father’s roast dinners, but here in Korea we only have a microwave. So, our family is heading to Japan for Thanksgiving. Japan is where my parents lived when the plane from Korea brought me to them on a chilly day in December. Japan holds the loss of my parents’ first born, stillborn son and the beginning of my life as a puertorriqueña. 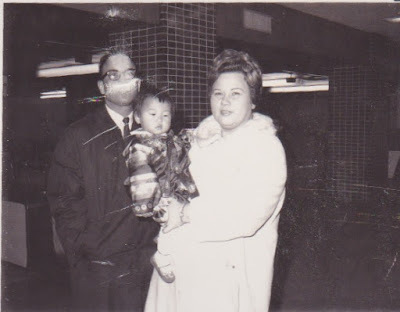 Japan revived my parents’ marriage in the wake of my father’s lost son. I am looking forward to that deep S-I-G-H as our plane lands.